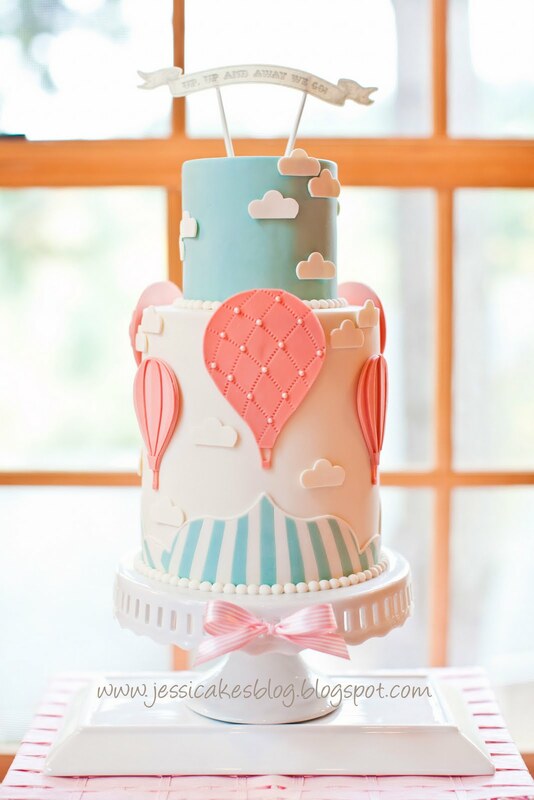 I am so happy that I found this beautiful Hot Air Balloon Baby Shower Cake. 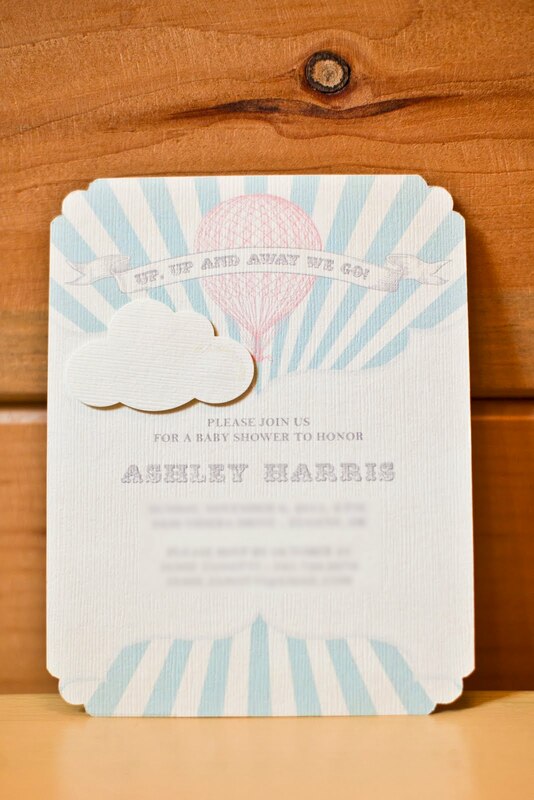 It was designed by Jessica Harris who is the owner of jessicakes blog. 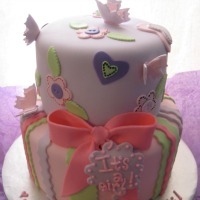 Jessica has created this amazingly cake for her cousin Ashley who had her first girl after two boys. Jessica was inspired by the invitation below, she used its motifs and with attention to details and great talent created this amazing cake. It is a real joy to look at her creation. Here's the template I created. 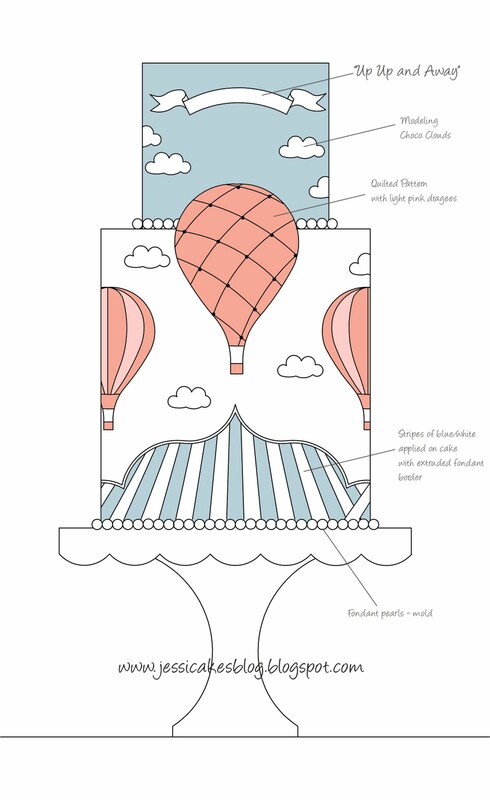 I designed this using my Autocad. I measured out the circumference and height of the cake, then made everything to scale so I could cut the pieces out and use them as templates. Planning has EVERYTHING to do with success. This way I was able to figure out how big/wide the stripes needed to be in order to go all the way around the cake...and look like they all blend. It worked beautifully!!! The main change we made was putting the "banner" at the top of the cake. We wanted it to have the same graphics as all the other text instead of me hand writing it. 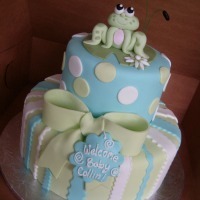 Looking back, I think I would have just printed it on edible images and put it on the cake. Other than that, I was super happy with how it turned out! 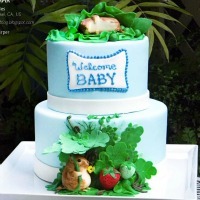 This cake was blended beautifully with the dessert table design and the other decorations. Are you curious what is inside the cake? Click here more details and see photos from this lovely party.